You know, bran muffins and prunes have gotten a pretty bad wrap over the years, but for me bran muffins bring back so many good childhood memories during a time when my family lived in a tiny town in Oklahoma. Our next door neighbor was an elderly woman in her 90’s. She lived alone and my mother would check in on her from time to time and also mow her grass for her. Her name was Mrs. Cummings and she used to bake the most delicious bran muffins and send them over to our house. I remember eating them often and loved them so much! She shared her recipe with mom and we’ve made them ever since. They are sweet, soft and very moist. 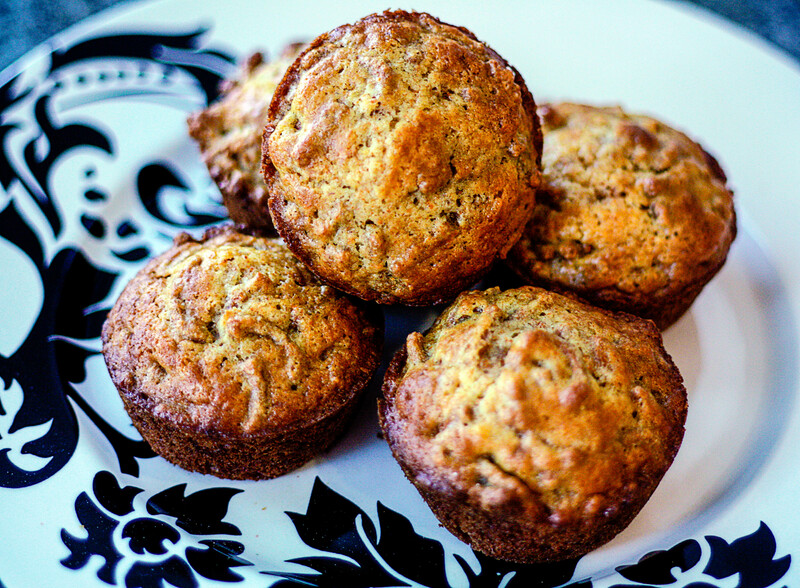 The buttermilk in this recipe really adds to the tenderness of these muffins. Pour boiling water over 1 cup cereal. Stir and set aside to cool. Cream sugar and shortening until light and fluffy. Add to creamed mixture alternately with buttermilk. Stir lightly. Blend in cereal/water mixture and two remaining cups of cereal. Cover and store in refrigerator until ready to use (up to 2 to 3 weeks). When ready to bake, fill greased muffin tins ⅔ full.